Craig Spencer, the doctor who was the first person to test positive for Ebola in New York City, has been successfully treated for the virus and will be released from Bellevue hospital on Tuesday morning, city officials said. Spencer was rushed into the hospital on October 23rd after discovering that he had a slight fever. He had previously treated Ebola patients in Guinea with Doctors Without Borders and returned to the United States on October 17th. Doctors Without Borders has sent more than 700 staff members to Ebola-stricken West African nations thus far. All three of Doctors Without Borders staff were infected with Ebola, including Spencer and two doctors from Norway and France. The other two had recovered from the virus in October. The Liberian Thomas Duncan, who tested positive for Ebola in Dallas in September, remains the only person to have died from the virus in the United States. Spencer was treated with experimental drugs and received a blood transfusion donated by Nancy Writebol, a SIM USA missionary who had recovered from Ebola. 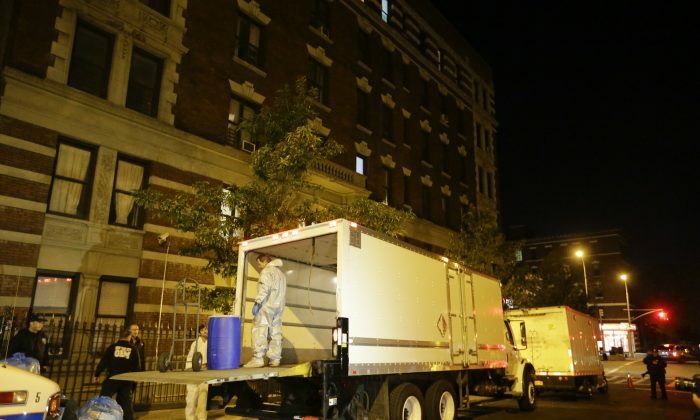 The 33-year-old has been treated in a specially designed isolation unit at Manhattan’s Bellevue Hospital, a designated Ebola treatment center. His condition was upgraded from serious to stable last week and he was feeling well enough to request an exercise bike and a banjo. His fiancée and two friends were initially quarantined but were released and are being actively monitored along with hundreds of others. News of Spencer’s infection set many New Yorkers on edge, particularly after details emerged that he rode the subway, dined in a meatball restaurant, and visited a bowling alley in the days before he tested positive. In an effort to curb a potential panic, New York Gov. Andrew Cuomo and New Jersey Gov. Chris Christie responded by announcing a mandatory 21-day quarantine for travelers who have come in close contact with Ebola patients. “As great as the problem of the disease, we have a second problem that may even be more difficult than dealing with the disease, and the second problem is dealing with people’s anxiety and people’s panic,” Cuomo said on October 21st, before reports of Spencer’s infection with the virus. In response to criticism that the quarantine could deter American doctors from traveling to Ebola-stricken countries, Mayor de Blasio has created a program to guarantee employment and financial guarantees to doctors returning from humanitarian aid tours. “The brave and selfless doctors, nurses, and health care workers who voluntarily travel to hot zones in West Africa to combat Ebola are heroes, plain and simple, and we need their hard work, courage, and sacrifice to protect all of us across the globe from this deadly virus,” Mayor de Blasio said following the week of Spencer’s admission to Bellevue. One person quarantined due to contact with New York City’s first ebola patient, Craig Spencer, was released on Wednesday, the New York City health department announced.